In order to make a fair comparison, equivalent transformer attributes should be compared. Installation flexibility, performance, accessory integration, environmental impact, and cost are all examples of attributes that should be considered. Ø Above 3150 shall be of the oil filled conservator type. Type of enclosure is only dependent on the kVA rating and not on the transformer voltages. For use in high-humidity tropical areas, a conservator that prevents contact between the oil in the transformer tank and the ambient air should be used. This may be either the membrane type or multi-compartment type of split conservator. In locations where fire risk must be minimised, e.g., in buildings, on offshore platforms, etc., the dielectric/cooling liquid of transformers shall be synthetic with reduced ignitability and flame-retardant characteristics, e.g., silicone fluid. In the above locations, dry-type transformers having cast resin encapsulated windings may also be used. Attention shall be paid to the shielding of live parts and possible capacitive currents when the encapsulation is touched. Ø Also more expensive, size and weight problems. 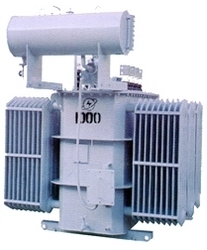 Ø Because we cann’t dissipate the heat generate by the transformer since with IP more than IP44, it’s completely sealed. Ø Therefore, cast resin transformer for outdoor location may not be a good choice. Ø Prefer oil or silicon type transformer. For zone 2 transformers - only can use silicone oil for oil type transformer, cann't use mineral oil. If we use cast resin transformer with IP44 or below for outdoor applications(offshore), the salt & water molecule will deposited at enclosure and also at the winding because of the salt molecule is smaller than 1mm.